Summer is back! That means rooftops are in use, summer whites are back in season and, most importantly, grilling season is in full swing. In celebration, we’re going to be pulling together some of our favorite recipes, guides, tips, etc. First up is our house recipe for Grilled Oysters, which is adapted from this J. Kenji López Alt post. We first made these last month during a weekend upstate, and have been thinking about them basically non-stop. 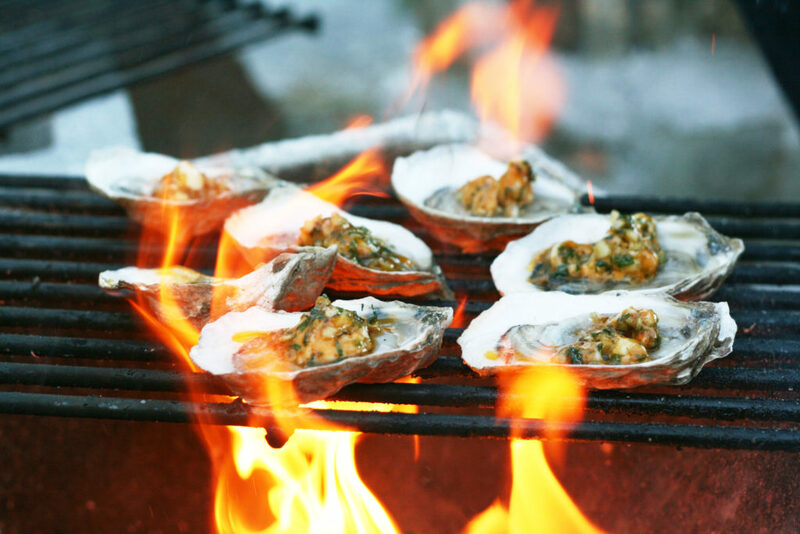 Shuck your oysters, and place them on the grill. If you place them longways on the racks, the metal bars should help keep the oysters upright. Once the butter is melted and the liquor begins to bubble, they're good to go. Remember that slightly undercooked is fine, but oysters can get tough if you let them dry out.